Still struggling to come to terms with reality, the widow said, “I learnt of my husband’s death on Tuesday. I was not even informed because my phone was taken away from me after I gave birth. But on that particular day, I saw my phone lying around and it was switched off. 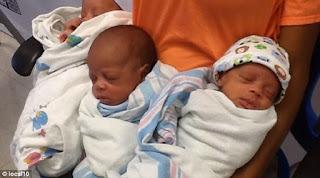 Mrs. Soje stated, “We did the naming ceremony at the hospital on October 14 and there was no quarrel whatsoever. We only asked him to go home and rest because the hospital was filled up and the nurses were driving people away.